Trinity was started by Roy Karnes Sr., a retired steel executive of International Steel, in 1976. He launched his second career near his favorite weekend escape near Lake Livingston in Trinity, Texas just north of Houston. Later, Roy’s two sons, Roy Jr. and Randy, joined the business making the company a family endeavor. 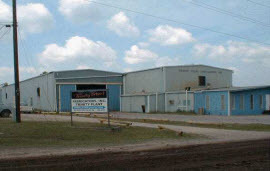 Before coming to Trinity Steel, Roy Jr. spent 25 years at IBM and brought his experience of computer systems knowledge from Fortune 500 companies to Trinity Steel. Under Roy Jr.’s guidance, the Trinity Steel team modernized information infrastructure systems to the production control, shipping, estimating, project tracking, document control and customer support functions. With these changes, Trinity Steel was set on a path with quality measures fully supported by business systems and full CNC tool integration managed by a materials and production optimization system. Today, tightly integrated information systems and business processes set us apart from our competition and make us the preferred supplier in our industry. Although the Karnes family departed from the business in 2010, Trinity Steel continues to hold the values and quality systems that made it great through the continuing efforts of its highly skilled and experienced leadership team. With such internal projects as renewal of safety protocols in 2011, shop floor optimization construction in 2012, and facility expansion in 2013, Trinity will continue to grow and exceed customer expectations.